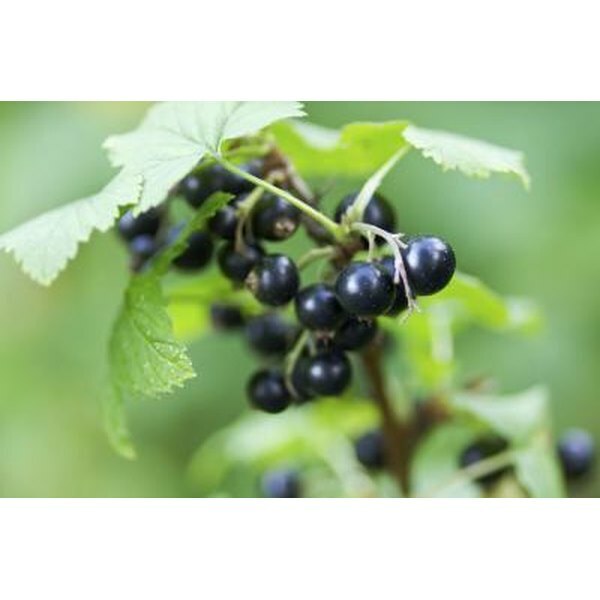 Black currant seed oil (BCSO), also known as Ribes Nigrum, is an herb that is often overlooked. It is an excellent source of GLA (gamma-linoleic acid), which the University of Maryland Medical Center lists as an essential fatty acid used to treat a variety of ailments, from diabetes and ulcers to allergies and cancer. BCSO is available as a dietary supplement in the form of capsules. There is no standard reference for how much black currant seed oil you should take, so follow the directions on the supplement carefully. As mentioned above, one of the health-promoting ingredients in black currant seed oil is gamma-linolenic acid (GLA.) This GLA is a powerful anti-inflammatory, which is used to treat the swelling and pain associated with arthritis, as well as gastritis, which is inflammation of the stomach. A report from the American Association of Anti-aging Medicine states that black currant seed oil works against inflammation by stimulating the production of prostaglandin-1, an anti-inflammatory hormone. As we age, there is an increase of the production of prostaglandin E2 in the body. While this compound is necessary for functions such as muscle contraction, if there is too much of it, it can have negative effects on the immune system, and increase the risk of age-related diseases. The National Institutes of Health reports a study that shows that supplementation with black currant seed oil helps to suppress the production of prostaglandin E2, thereby boosting the immune system function of the aging. The same report from the American Association of Anti-aging Medicine mentioned above states that supplementing with 4.5 gm per day supports the immune system. One of the distinct benefits of black currant seed oil is its anti-viral properties. A study published in the February 2003 issue of "Phytotherapy Research" shows that BCSO is particularly protective against the influenza virus. Researchers in Japan state that not only was the growth of influenza A and B completely suppressed when exposed to BCSO extract, the extract also prevented the virus from being released from the infected cells and spreading further. Does Taking Green Tea Dietary Supplements Affect an Ulcer?